Hudson is a 9-month old precious, baby boy whose infectious smile lights up a room. Recently, Hudson was diagnosed with Gaucher’s Disease. To provide the best care for Hudson, he will need to begin weekly treatments. Fortunately, he can begin treatment as early as next week, but until insurance approves the medical treatment, each one will cost thousands of dollars. In addition, Hudson will also need to be seen and monitored by a specialist in Virginia. Medical expenses, loss of wages, and travel expenses can quickly add up when you have a sick child. We are asking for your prayers and donations to help take some of the financial burden off of these parents, so they can focus all of their attention on Hudson and their two other children, Gavin and Olivia. Hudson was able to start his first ERT infusion this morning! 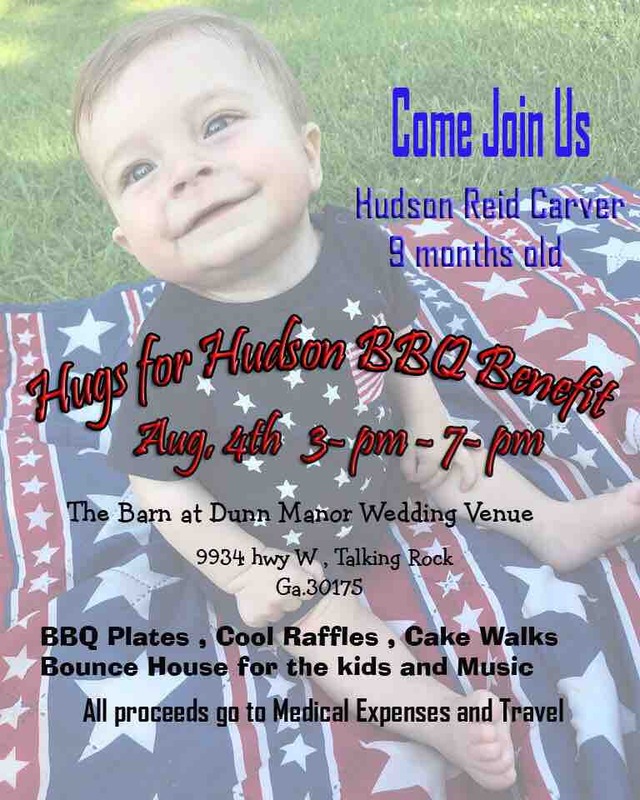 Please join us for our Hugs for Hudson BBQ Benefit! I just wanted you all to know I have seen, heard, and felt all of your kind words. Even more, God has heard all of your prayers. He is listening. You have all restored my faith in humanity. You are so selflessly giving your all to my sweet sweet Hudson and I am forever grateful. I haven't been able to post much due to spending every waking moment talking to doctors face to face or over the phone but I want you to know I see you! I hear you! I feel you! I THANK YOU! Jeremy and I plan to spend Saturday and Sunday with our family and trying to get in some much needed family time before life gets hectic again. My heart breaks thinking of leaving Gavin and Olivia again but I know they are in good hands and I'm so thankful to have such a strong close knit family to help. Monday we will be packing and getting all last minute items in order. Plan to fly out Tuesday and then we will meet Hudson's entire team of doctors for the rest of the week including starting his treatments. I will update you all as I learn more day to day. Without a doubt I am an emotional wreck and the fear of the unknown is killing me. However, this is what I keep telling myself throughout each day. "God gave us Hudson. Sweet little Hudson is strong, he is a fighter, and he is LOVED. He has infected the hearts of hundreds of people in just 5 short days. All these people are watching Hudson and now God is going to show off! Keep watching, we are about to see miracles happen"! I will speak this true. I will speak Hudson's healing and health true. In Jesus Christ name Hudson will beat this! I will keep you all posted this upcoming week. Don't stop praying. There is strength in numbers. Let's all show God we are here and we are watching. The outpouring of love and support from our friends, family, and community these past few days has left Jeremy and I speechless. To see so much good during such a hard and difficult time trumps so much of the negativity we see in this world daily. Jeremy and I are still in shock and don’t have many answers ourselves yet but here is what we know. 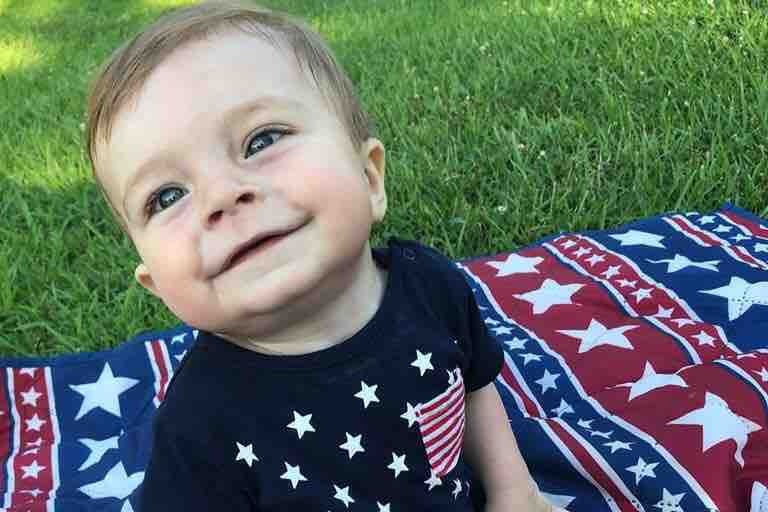 Hudson’s liver and spleen are enlarged, he has some very minor neurological deficits at this time and with his medical history the doctors have diagnosed him with Gauchers Disease type 2 or 3. We will not know which type he has for another two weeks and even then we have a TON of more blood work to be drawn to find out the exact makeup of his disease. While neither of us want this diagnoses at all, Hudson’s best chances for a good fight would be type 3. Babies with type 2 do not live past the age of two. Hudson, Jeremy, and I are being flown to VA next week to start ERT (enzyme replacement therapy) immediately (the sooner he starts treatments the better his outcome) and to see the number one specialist in the US regarding Gaucher’s. Hudson’s infusions cost thousands of dollars and I don’t know when or if insurance will cover it. 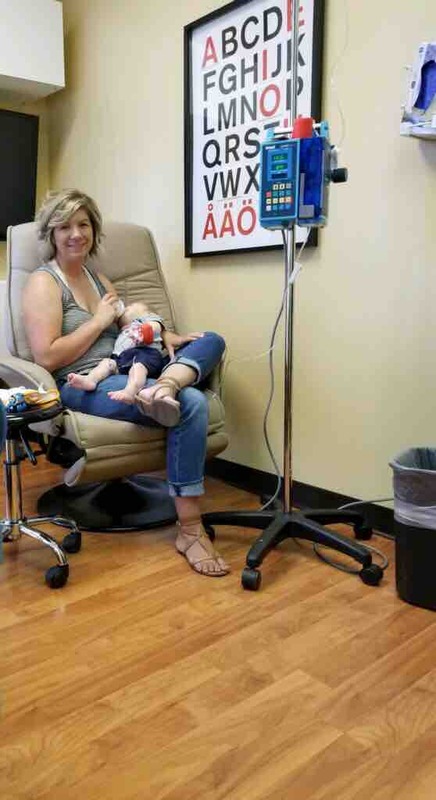 He will receive these infusions weekly for the rest of his life. I will try my best to keep everyone updated as we find out more information. I can promise you Jeremy and I will not stop fighting for our little boy, EVER! He too is a little fighter. The Carver blood is strong in him. As we all know our only true physician and healer is God and I will rebuke this disease in Christ name every single day!! !